New Mizuno AW17 Running Shoes Range Now In Stock! The latest range of running shoes from Japanese sports equipment manufacturer Mizuno is here, with both men’s and women’s trainers in the Autumn Winter 2017 range. You’ll find the latest versions of some popular models in the Mizuno AW17 range here at Sweatband.com, including the highly rated Wave Rider 20. The range includes both neutral cushioning models and stability running shoes for those who need extra support throughout their running gait. Whichever style you wear, you’ll be eating up the miles on the road in a brand new pair of Mizuno footwear. Click the button to see the full range in our store! Mizuno are a leading brand when it comes to running and running shoes, and have been manufacturing sports equipment for over a century! 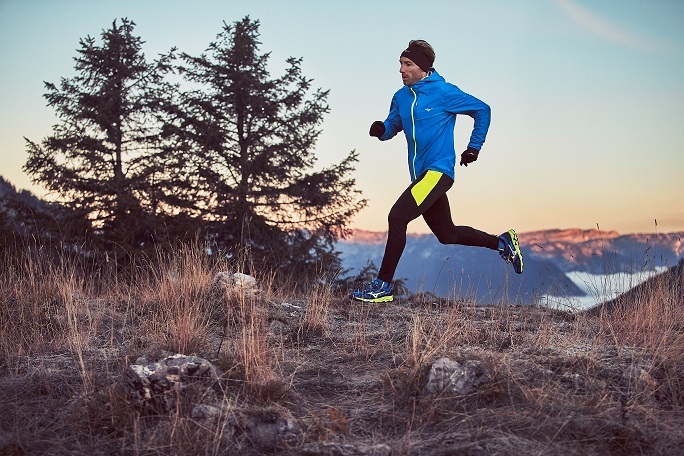 They have put all their knowledge into their latest running shoes, bringing advanced technologies, such as the Wave technology, to the market to enhance your running experience and performance. The 20th version of the Waver Rider running shoe sees the culmination of 2 decades of developing and perfecting the product. Have a watch of the 20th anniversary video below which shows you just what this latest design can do for you and your running. The new Cloudwave technology works on the whole length of your stride, providing more flowing footwork, increased cushioning and impact reduction, and more control as your feet move from impact to push-off. Other design features and technologies in the outsole, midsole and upper combine to deliver smoother ride, enhanced grip, better cushioning, increased comfort and good aeration for more pleasant and effective running. You’ll find the full new range in our online store by clicking the button below. All the Mizuno AW17 trainers come with free UK delivery on a quick service. So you will be hitting the road in your new shoes in no time!